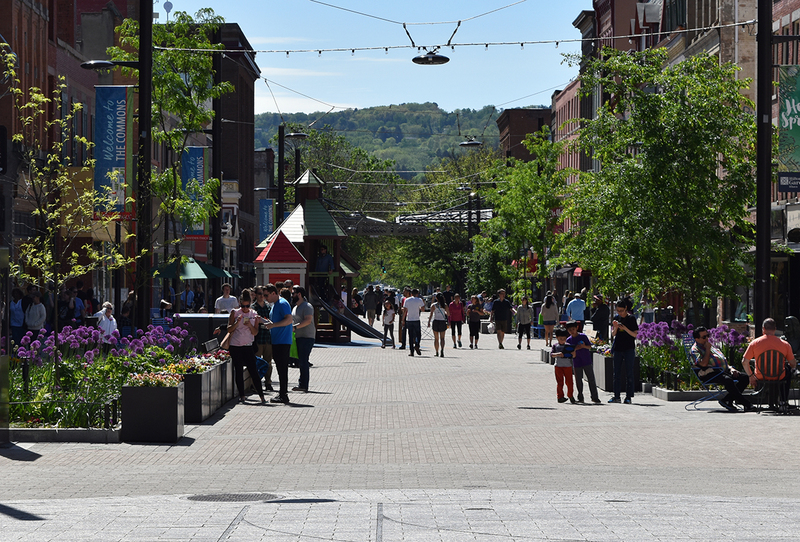 Central to downtown Ithaca’s vibrant commercial and cultural core is the Ithaca Commons. 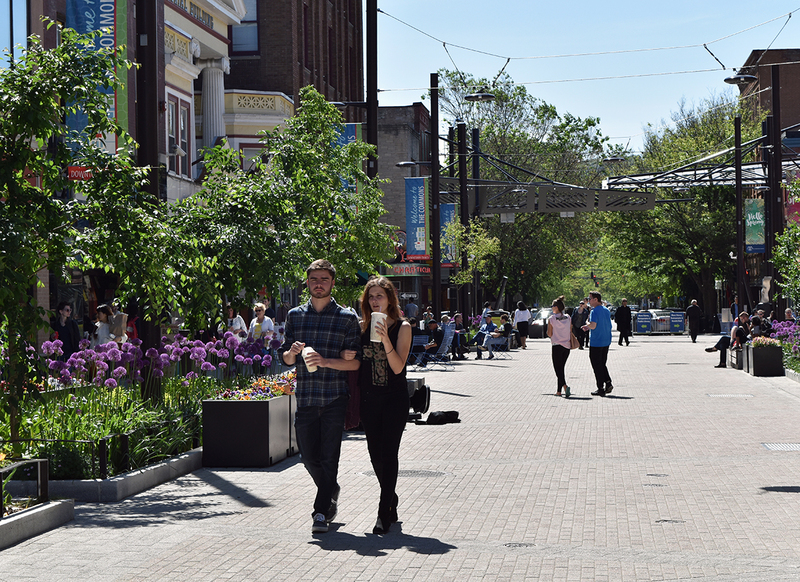 One of the few remaining pedestrian malls in the country, the Commons was in need of extensive renovations. 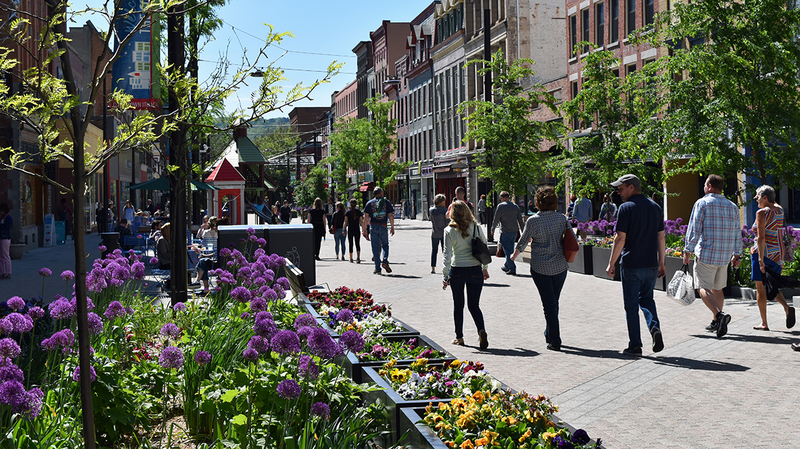 TWMLA partnered with Sasaki Associates to provide public participation, planting design, and construction observation services on the Ithaca Commons redesign project. 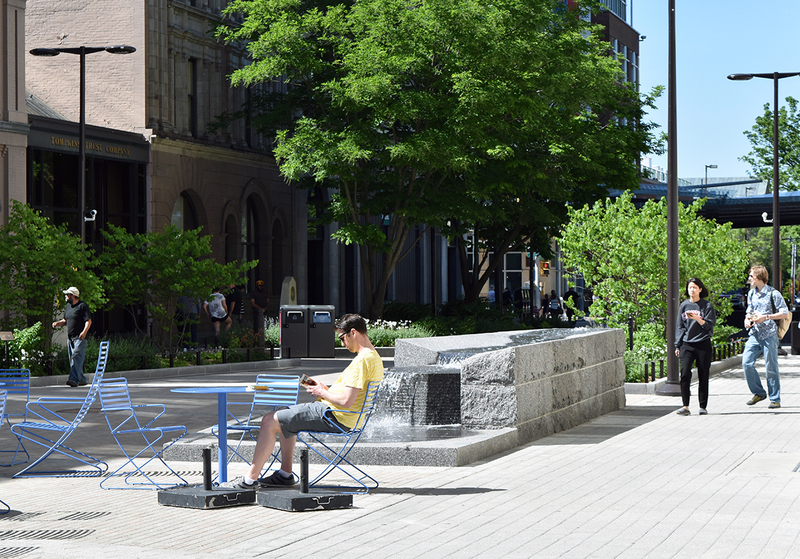 To complement the extensive infrastructure, utility, and site rehabilitation of the multi-block Commons, TWMLA worked to create a resilient planting design to enliven the space with four-season interest. A result of the public input was a strong community preference for the use of plantings to reflect ecologies of the Finger Lakes Region. The planting design employed a wide range of trees, shrubs, and herbaceous species. Colorful and hearty plants now grace the Commons from end to end and help define the character of the corridor. Incorporating spring ephemerals in the design distinguishes the planting design inspired by the iconic local gorges. The Commons sees year-round use by a number of well-established community events, daily patrons to the local shops and eateries, and pedestrian movements. 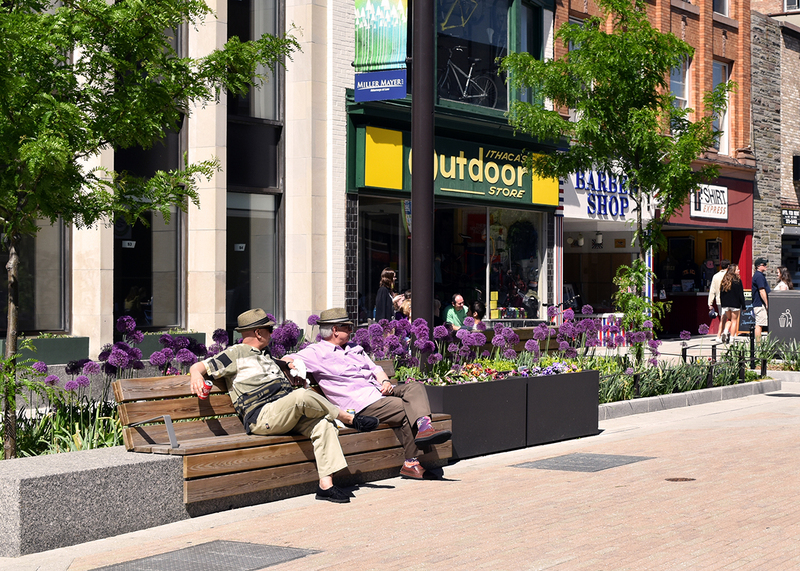 A primary consideration in developing the planting design was this demanding social and urban context. 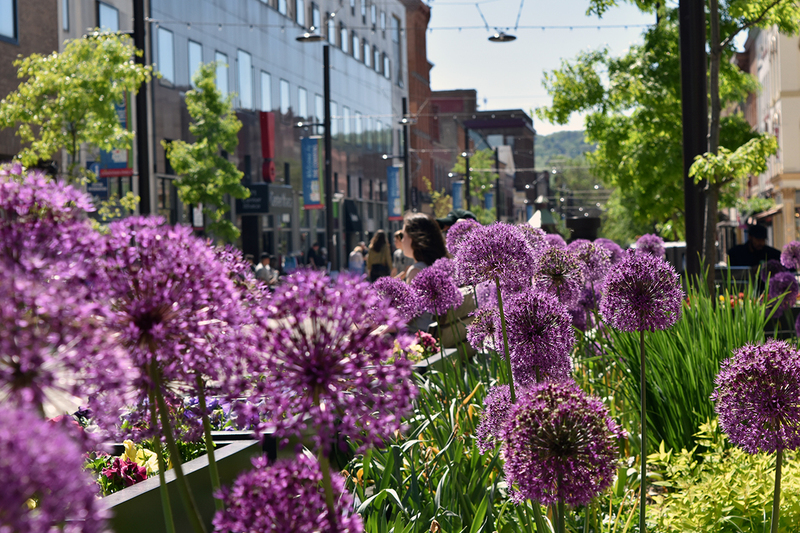 We drew on our extensive experience developing successful planting designs for challenging urban site conditions to ensure the long-term success while limiting future maintenance.